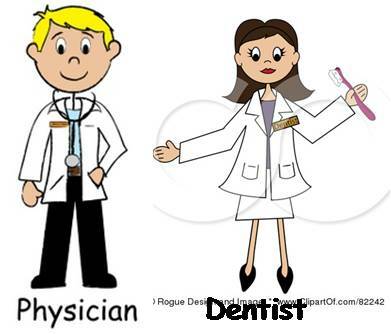 it's smile: Collaboration between Dentist and Physician: Are we in the Same Team? 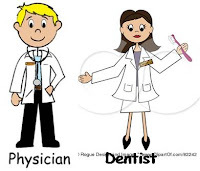 A medical-dental consultation may be necessary to identify obscure causes of face, head, and neck pain, eg, malocclusion, poorly fitting dental appliances, temporomandibular(8) (also called temporomandibular joint) disorders, giant cell (temporal) arteritis(9), unilateral mastication, spasm of the masticatory muscles, occult cavities in the jawbones, and trigeminal neuralgia. Pain referred to the ear may arise from an inflamed gingival flap around a partly erupted mandibular third molar or from the back of the tongue in glossopharyngeal neuralgia. Conversely, percussion tenderness in several maxillary teeth may result from nasal or antral disease adjacent to the root tips. Facial numbness or paresthesias may be due to a neoplasm of the antrum(10) or nasopharynx, a vascular accident, metastasis to the brain stem, or multiple sclerosis. However, paresthesia most commonly affects the lower lip, usually when extraction of a mandibular molar causes damage to the inferior alveolar nerve. Rarely, it indicates an oral neoplasm. An oral or dental problem, as well as systemic disorders, may cause involuntary weight loss. For example, a person may be unable to chew food well because of too few, loose, or painful teeth; poorly fitting dental appliances; stomatitis(11); a temporomandibular disorder; or fatigue of the masticatory muscles. Masticatory fatigue may be caused by a congenital muscular or neuromuscular disorder in younger persons or by poor circulation in the masticatory musculature (jaw claudication(12)) or by poorly occluding artificial dentures in older persons. 2. Malalignment: Displacement of a tooth or teeth from a normal position in the dental arch. 3. Prosthodontist: a dental professional engaged in the practice of prosthodontics. 4. Cellulitis: a spreading bacterial infection just below the skin surface. It is most commonly caused by Streptococcus pyogenes or Staphylococcus aureus. 5. Parapharyngeal: refers to the parapharyngeal space, a cavity adjacent to the upper pharynx. Can also refer to tumors found in this cavity. 7. Bacteremia: an invasion of the bloodstream by bacteria. 8. Temporomandibular: relating to, or formed by the temporal bone and the mandible. 9. Arteritis: inflammation of an artery. 11. Stomatitis: Inflammation of the mucous lining of any of the structures in the mouth, which may involve the cheeks, gums, tongue, lips, and roof or floor of the mouth.